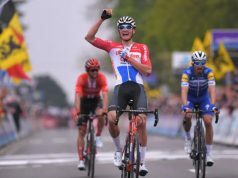 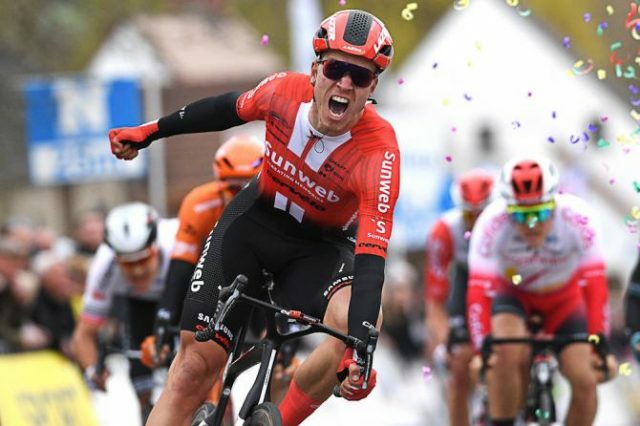 Cees Bol sprinted for victory at Nokere Koerse to give Team Sunweb their first win of the season – although the finale was marred by a huge crash in the closing stages. 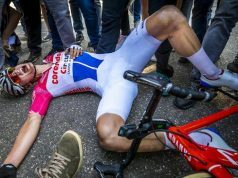 As a compact bunch was getting into position for the expected sprint finish in Nokere, a big crash in the final kilometer saw put several riders on the deck. 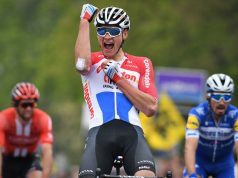 A rub of shoulders between Max Walscheid and another rider ultimately led to a messy pileup a few riders deep into the bunch, with cyclocross world champion Mathieu van der Poel among those affected. 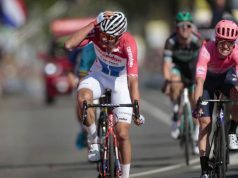 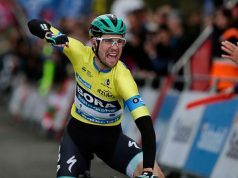 Pascal Ackermann (Bora-hansgrohe) went early, but Sunweb rallied and caught the German as Bols powered through for the win.